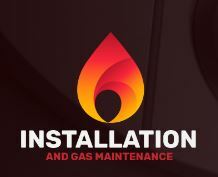 Installation and Gas Maintenance - Central Heating Engineer, Plumber based in Iver, Buckinghamshire. My name is Ian Mclaggan and I have over 30 years experience in the heating and plumbing industry. Trading for over 30 years we are a local trusted Gas Safe™ Registered Plumbing and Heating company based in Iver Heath, servicing the Buckinghamshire, London (West, North, East and South) and Middlesex area. We pride ourselves on providing high quality work and customer service. All work is carried out cleanly and tidily with the minimum disruption.